to help you capture more leads and turn prospects to residents. Property managers are under more stress than ever before. With an unpredictable economy and more pressure to sign leases, you need every advantage that you can get to fill your apartment complex. Apartment listings, the YellowPages, and newspaper ads just won't cut it anymore. The only way property management companies can attract more residents is to use advanced apartment marketing ideas from the pros. For these reasons, many leasing offices are struggling to broaden their reach while also honing their efforts to qualified customers. Potential renters are looking for an apartment in a specific area, and that property must have specific features to meet their needs. This is why your message and outreach needs to meet how your renters search for rental properties on different marketing channels. Getting found on Google and other search engines is only half of the battle because your website needs to engage your readers. Not only will our team get you found through organic listings, we will also craft content to drive more conversions on your site. Depending on the time of year you can use PPC marketing as a way to get found in Google and Bing. Paid ads are a great investment if you need to fill empty units quickly. We do comprehensive research for your market, and advertise eye-catching ads that are honed in to get found by the right people at the right time to drive results! Apartment marketing is all about reaching potential tenants in a way to build trust, and we use social networks to customize your message to boost rentals. We offer both paid social media options and organic social outreach so you can customize how your brand communicates with your audience based on your budget and goals! Your apartment needs to highlight the features that matter most to your prospective tenants. 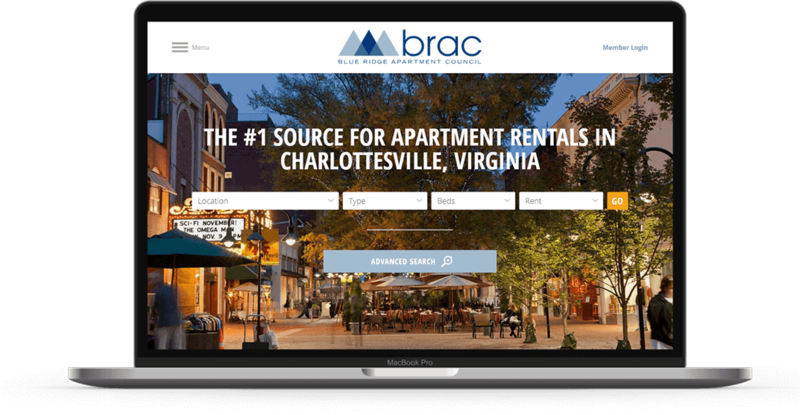 We an help you position each amenity on the right pages and shape the best content to bring out the best in your apartment complex. This leads to more revenue and drives your long-term success. How can online marketing help my apartment community? You can make your apartment stand out with virtual tours, and drive more tenants to schedule an on-site walk through. Our team will help you take control of your digital marketing strategy by streamlining the process to strategize, create, and publish content in ways that will engage your desired audience. Our team of professional in-house apartment marketers will partner with your team to ensure you get all the benefits of marketing without wasting a single minute or dime. Not only does our apartment marketing team at StrategyBeam have a deep knowledge and experience of digital marketing, but we also know how to customize our marketing strategy to meet your apartment’s needs. We have a plan for almost every situation and we will work with you to personalize your apartment marketing ideas based on your property’s goals and the needs of your renters. Why should I trust your apartment marketing services? The Apartment real estate market is highly competitive and you can’t risk having a poor apartment Internet marketing strategy. Today’s renters are more picky and informed than ever before, so you need a proven apartment marketing strategy to help your apartment stand out and attract qualified leads. No matter the economy, there are always lots of competitors in the market for apartment complexes. As your future tenants do their housing research, you need to use every tool and Internet marketing strategy at your disposal to entice them to rent your apartment and not with your competition. What problems do we help managers solve? Many apartment communities run into trouble when trying to implement a marketing strategy to close more leases. There are too many marketing strategies that can be used for an apartment so no one person can master everything. Each apartment is unique and your marketing tactics need to reflect the benefits and move-in audience of renters. Seasonality plays a big part in the multifamily industry. You need to know what tactics to use at specific times to drive your business goals. We partner with apartment communities like yours to understand your needs and help you reach more potential renters. Our holistic approach to apartment marketing means that you get in front of your target audience and sign more leases today! What if I already have a marketing team? Digital marketing is like a well-oiled machine, and each channel in your strategy needs to work as a gear in a machine. Property management companies are responsible for results that produce high rent revenue and your apartment marketing company needs to look at the goals in the same way. If your leasing staff complains about the quality of leads that come to your office, then the marketing team needs to know how to improve those factors for greater results. You should ask yourself if your marketing agency has a plan to address any problem or issues that you face throughout the year. How will I benefit from your apartment marketing services? We are a group of seasoned freelance copywriters, PPC managers, and online marketing professionals. We know that your apartment complex is unique and because of this you need to think differently than your competition. We will channel our experience and knowledge about apartment marketing solutions to help your property get found and reach your goals! We believe that the only things worth doing are worth doing well. This is why we approach each project with our eyes focused on the best ways to move your apartment community towards your marketing and occupancy goals. Apartment marketing is different than other industries because multifamily marketing has to do with people and their livelihood. This is why we take a caring approach to get your apartment found online and build superb digital experiences for all of your target audience!